WHAT TO EXPECT - Random Hacks of Kindness Jr. The projects the students work on at the Hack-a-thons vary widely and depend on the nature of the nonprofit they are helping. They are generally informational or functional. To give you a better idea, we show two samples here. 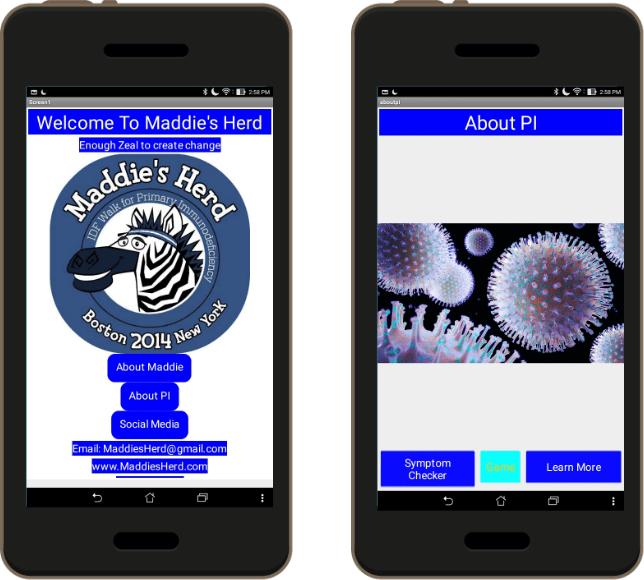 The goal of this project was to provide information on Maddie and Primary Immune Deficiency Disorder. The information App told Maddie’s story, along with a video, as well as background data on this medical condition. 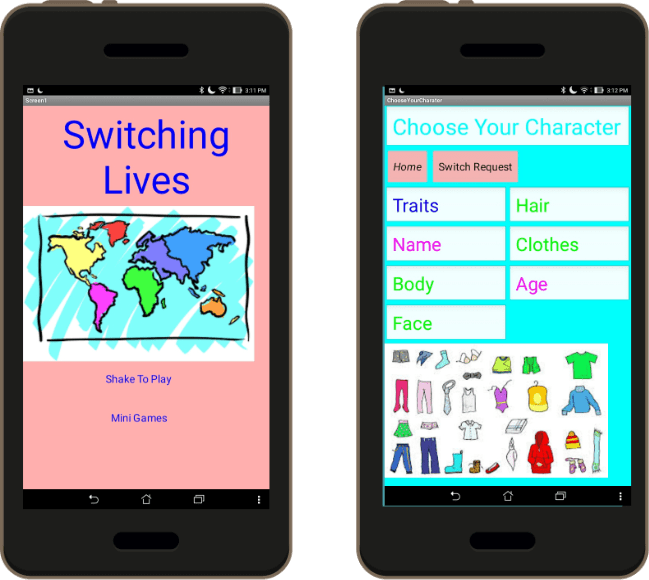 This App is called Switching Lives and was designed to connect girls with their peers around the world. The motivation for this role-playing App is to give the users the opportunity to see what life looks like from someone else’s point of view. Are you a nonprofit or mentor who would like to help out? The day runs roughly from 8:00AM-3:30PM with two breaks and 1/2 hour for lunch. Students are seated at tables (either with friends or randomly) where they have the opportunity to talk with the Mentors and nonprofits before the program officially begins. Information about App — Video about App Inventor (from Made with Code) which helps to demonstrate the power of coding for good. Learn about the nonprofit and its challenges. Walk through of Starbursting – the first step of the brainstorming process. Begin design. Snack break.